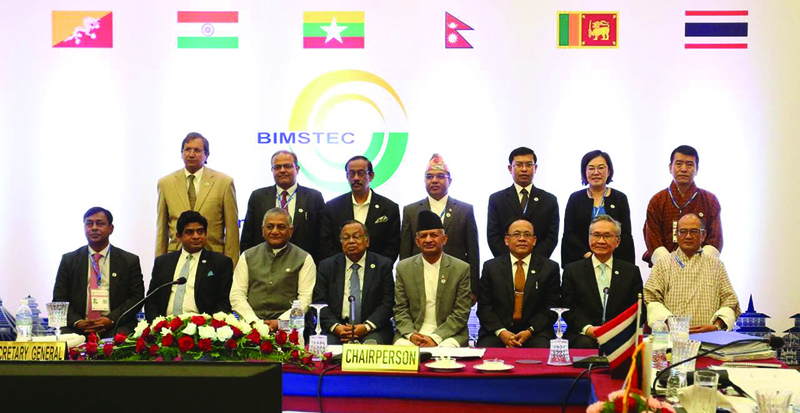 Whatever the hemming and hawing over the just concluded fourth summit conference of the basically India-steered Bay of Bengal Initiative for Multi-Sectoral Technical and Economic Cooperation (BIMSTEC), it has the daunting task of making some significant headway. Its inherent intention is seen as an obstacle that might stall its eventual drive. If, and when, the promised power grid mechanism gets off and functions without hitches, enabling Nepal to export energy to India and Bangladesh, the resultant connectivity will be commendable. Bangladesh’s Prime Minister Hasina Wajed is learnt to have pushed for it and persuaded her Indian counterpart to approve the same. Talk of exporting power to Myanmar and Thailand is day dreaming. It’s like Nepal being free to send on its own a spacecraft to Mars: No one and nothing is stopping it as long as it can afford to. First, how much effective power generation potential does this country really have? Will the tariffs prove financially viable for the envisaged hydro projects? What are Nepal’s needs by the year, say, 2030? Are we going to focus exclusively on energy export (and railways) and distance ourselves from the rest of mainstream industrialization, which has kept this country behind most others by at least a century? Will it reduce Nepal’s overwhelming trade deficit with India? Does it meaningfully promote the acceleration of the economic pace of this region’s newest republic? Sri Lankan President Maithripala Sirisena and Thai Prime Minister Prayut Cha-o-cha visited Lumbini, to Indian Prime Minister Narendra Modi’s silent regret of having to forego the exclusive media mileage and political capital it otherwise would have fetched him for domestic politics, nine months away from the next general elections. In his previous visit, Modi visited Janakpur in the Tarai, Muktinath in the high hills and Pashupatinath in the host country’s premier valley. The Thai premier reportedly expressed security concern when the hosts proposed Gokarna resort as the venue for the retreat of the participating leaders, which led to the plan being scrapped. Modi, too, engaged in a farce by expressing concern over “security risk” and abandoned his publicly declared desire to visit Lord Buddha’s birthplace. Even if coming from a military background, the Thai premier, however, had no such reservations and paid a trip to perform rituals in the revered premises in Lumbini. That the heads of state or government were not well-prepared for coming up with specific commitments to the grouping’s economic agenda unwittingly came into sharp focus. Bangladesh’s Prime Minister Hasina Wajed, facing domestic turmoil at home in the light of impending general elections, spent most of her statement in portraying her own domestic political issues. Bhutan’s Chief Advisor to the Interim Government Dasho Tsehering Wangchuk proved no different. Myanmar’s President Win Myint, Sri Lankan President Maithripala Sirisena and Thai Prime Minister Prayut Cha-o-cha did not look beyond the need for the BIMSTEC charter which has eluded the member countries since the time the grouping was formed in 1997. The 1991 Nobel Peace Prize Laureate and Myanmar’s “state counselor” Aung San Suu Kyi skipped BIMSTEC, apparently because of the huge criticism against her for not standing up to the army that is accused of violating human rights during the operations against Rohingyas. The United Nations Commission wants an investigation into the matter. Sirisena and Wangchuk arrived a day ahead of the opening function while Modi, Wajed, Myint and Prayut arrived hours before the August 30 summit in Kathmandu. Most were visibly in a tearing hurry to complete the motion of formality before dashing home in equal haste. There was little interest in the BIMSTEC summit in member the countries’ press and public, with the exception of the Nepali media. An ominous question hangs in the air over the fate of the much older and established regional grouping, SAARC, which, it is feared, might get buried under the debris of BIMSTEC. SAARC summit has been deferred since 2016. India has been suspicious and uneasy about the 33-year-old grouping, whose members are all non-aligned, South Asian nations sharing a common legacy in many respects. Except for Nepal, the rest of the eight-member grouping has a common legacy of having borne a long foreign rule. SAARC was the concept of Bangladesh’s President Ziaur Rahman and King Birendra. As the initiative came from its smaller neighbors, India feared that they might “gang up” against the world’s “largest democracy”. Then Indian Prime Minister Rajiv Gandhi could not stomach King Birendra being consulted by other SAARC leaders and the SAARC logo designed by a Nepali artist being officially accepted. Moreover, the spontaneity with which the rest of the founder member countries favored Kathmandu to host the organization’s secretariat troubled Gandhi. Bangladesh, which had initially staked a claim to the honor, quickly dropped its demand, which made Rajiv Gandhi endorse Nepal at last. Whenever Nepal’s long legacy of independence “since time immemorial” is touted, it irritates the Indian establishment which wishes not to be reminded, directly or indirectly, that India was colonized and occupied for centuries by foreign forces. At the 26th Colombo Plan Consultative Committee Meeting in Kathmandu in December 1977, King Birendra formally enunciated a proposal for a regional approach to harnessing the region’s hydro power potential. By the early 1980s, Nepal took active interest in Bangladesh’s President Ziur Rahman’s idea of forming a forum for South Asian cooperation. Nepal has been pleading for a free and unhindered transit through India. 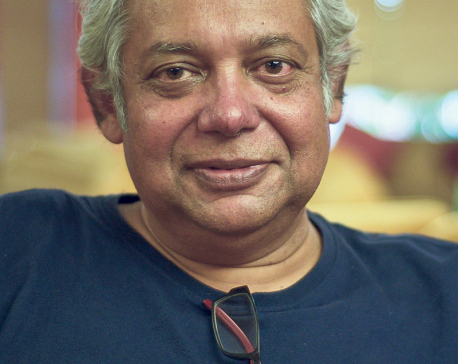 Whether Modi will prove that his interest does indeed animate in action is to be seen, though he was not the first Indian prime minister to impose a horrendous economic blockade that is usually reserved for enemy states or, in later decades, against governments charged with having committed severe brutalities against their own people. Rajiv Gandhi envied the better educated, suave and sophisticated King Birendra who was emerging as a consensus leader among most members. In 1985, SAARC’s grand launch in Dhaka drew world attention, unlike BIMSTEC that created no stir. With a higher secondary school education, Gandhi completed air pilot training to pursue a career in aviation. He and his Italian-born wife Sonia, according to leading newspaper reports and opposition leaders in India, were at one time all set to leave India, bag and baggage, at the height of the difficult days when the Gandhi family was being hounded by investigation agencies and ostracized by large sections of society. 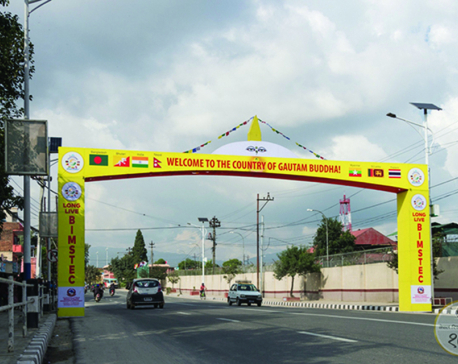 Experience tells BIMSTEC might have a hard time taking off in real earnest, thanks to growing mutual suspicions and New Delhi’s aspiration to ignore Pakistan and distance China from any Indian initiative. Modi’s unilateral announcement of joint military exercise by BIMSTEC members turned into a mess. Eventually, India has to decide what it should pursue: Sphere of dominance or cooperation with other independent and sovereign nations? After all, it has also to tend to its depleting hopes of getting aboard the UN Security Council as a permanent member, with or without veto power.